One of Glasgow’s hidden delights the, Ambassador 3 Star Hotel blends unique Victorian opulence with a tasteful modern twist. It is ideally located for the busy Executive who cares about comfort. 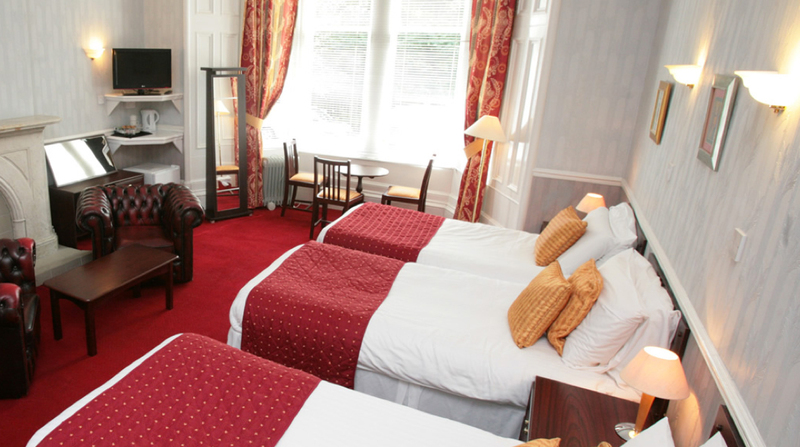 Overlooking the Botanic Gardens, this hotel is nestled in the heart of the trendy West End within short walking distance of an abundance of shops and is also a destination for discerning diners with contemporary and traditional eateries, restaurants and bars also in close proximity. Our quality and modern accommodation has 26 well- appointed guest rooms including double, single, twin, triple and family room. Among the facilities available to guests are free car parking, free wi-fi internet access, direct-dial phone and a hotel safe.